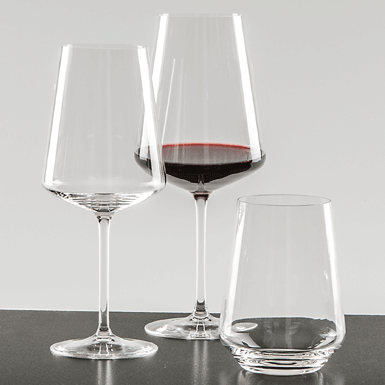 The elegant goblets Toscana have the ideal shape for tasting each perfect wine bouquet. The matching water glass and a carafe for wine or water (art. 20188) complete the series. mouth-blown and hand-made to perfection.